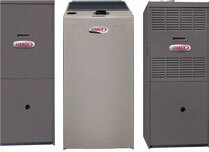 Inloes Heating and Cooling is one of the leading providers of HVAC services throughout the greater Hamilton Ohio area. 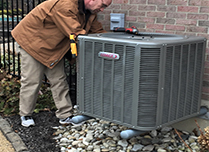 We provide expert HVAC installation, repair and maintenance services for homeowners throughout Hamilton and Butler County Ohio. Whether you need a new installation, immediate heating or cooling repairs or routine maintenance, we are ready to take your call. Inloes Heating and Cooling, deals exclusively with Lennox furnaces and air conditioners, the most respected name in maintaining your home's comfort levels. We offer a full range of all-inclusive heating and air conditioning systems to meet the physical requirements of your home while remaining within your budget. 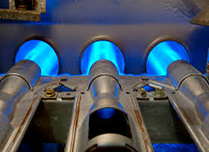 At Inloes we are passionate about performing quality air conditioning repairs and installations. 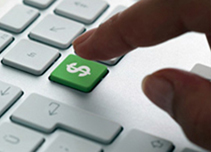 You don't have to let a small budget keep you from getting the most efficient heating and cooling solution for your household. At Inloes, we only use the highest quality equipment and parts in our heating and air conditioning installations and repairs.